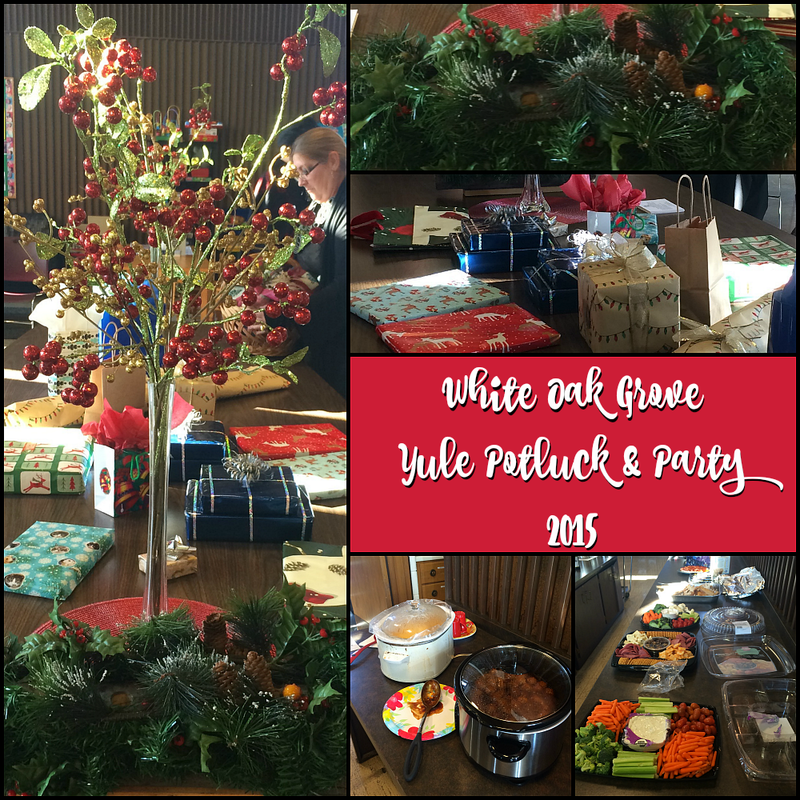 Thanks so much to everyone who showed up at the 2015 White Oak Grove CUUPs Potluck & Party! It was wonderful to see so many people turn out and enjoy a wonderful afternoon of great company. The food was fabulous, and you all really knocked it out of the park on the mystery gift exchange. Are you ready for some ritual? Join us again on Sunday December 20th, 2015 for a joint celebration with the Sinnissippi Tuath (an ADF Protogrove). Gather at 6PM in Rockford UU for food and fellowship, with a Heathen style Yule ritual lead by Cara Freyasdaughter. Head on over to the Facebook events page and RSVP!